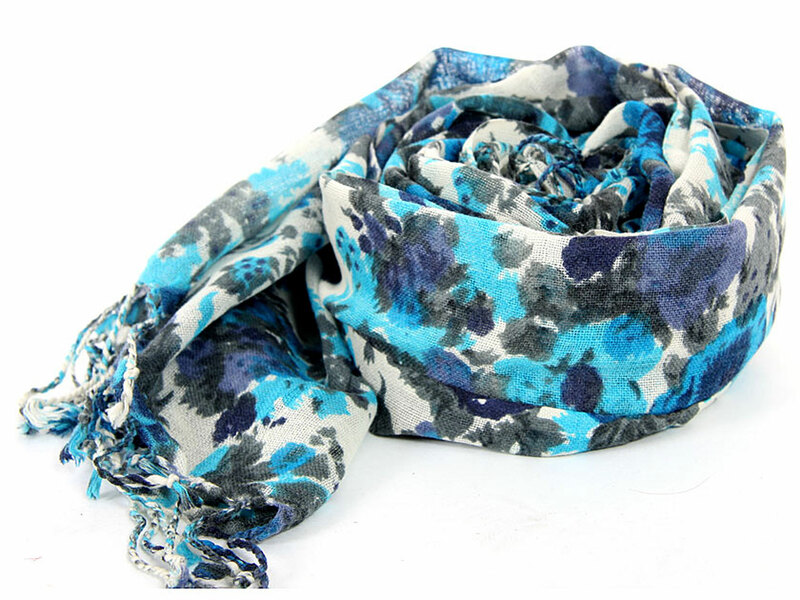 Venetian Blues saturate the lush floral print on a super soft, fringed wool scarf in Ivory color. Imported. Dry clean only.